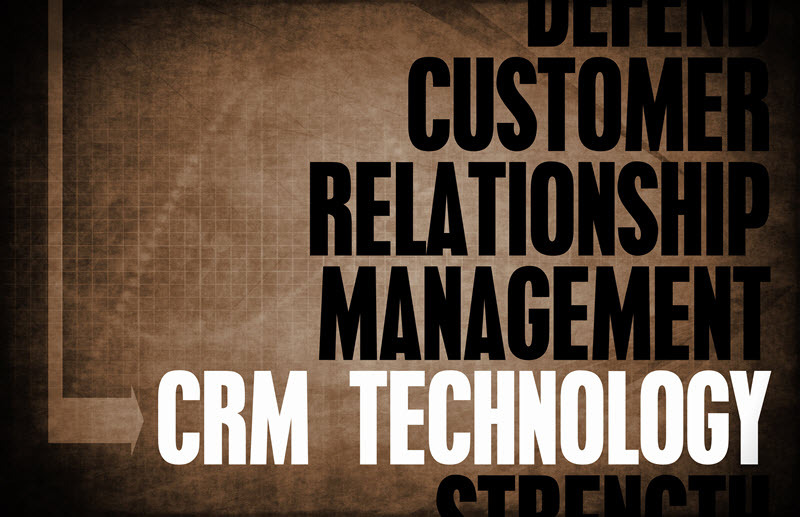 It’s taken me a long time to find a CRM tool that I like to use. And while there are many to choose from, I finally settled on Nimble. 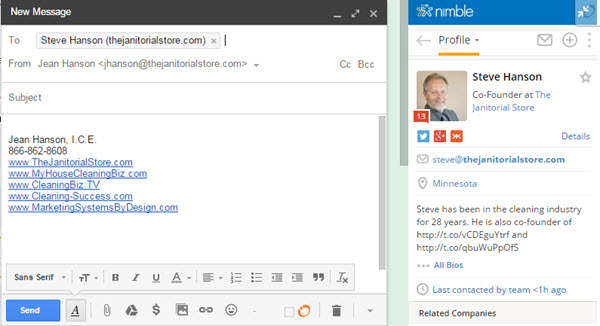 One of the reasons I like Nimble so much is because of its ability to integrate with Gmail. I recently attended the ISSA Convention and Trade Show for the cleaning industry. I gave 5 marketing presentations to members of the various Associations in attendance, and I had a lot of interest in our services. Rather than coming back to the office and putting all the business cards I had collected into my desk drawer, I carved out time to do some follow up. I started with sending an email to each contact. I use Gmail, and Nimble CRM has a plugin that integrates with Gmail so it’s very quick and easy to use. As soon as I type in the email address of my new connection into a new email, Nimble gets to work, searching for information on my new contact. If they are in the database already, Nimble will bring up their information (see example above). I can quickly make any needed updates if I have new information on their business card. If Nimble doesn’t find the person in my database, it goes out to find them on the Internet and pulls in any information it can find, such as social media profiles. A green button also appears so I can add them on the fly. At that point I can also add any other information such as phone numbers, address, website url and anything else that is on the business card. Watch the video to see just how easy it is to add connections to my Nimble CRM on the fly. Try out Nimble’s Free Trial if you’re interested in using a CRM that integrates with email and automatically finds your prospects’ social media information.